There was a sense of apprehension while Bosque’s Amnesty International group members waited in the library on Sunday, November 11. The group was preparing to meet the refugee students from the Democratic Republic of Congo (DRC), Syria, and Tanzania who are currently attending Van Buren Middle School; Bosque is partnering with Van Buren MS for this school year. The barriers were easily overcome. After the first wave “Hi” and introductions, conversations popped up over shared lunch, tour of the school, and fun activities—normal things. Within the first few minutes, all were reminded of a valuable lesson: people are people no matter where we come from, and people do the same basic things: talk to friends, play silly games, and tell one another jokes. A second important lesson was realizing what can be learned from, and taught to, each other. 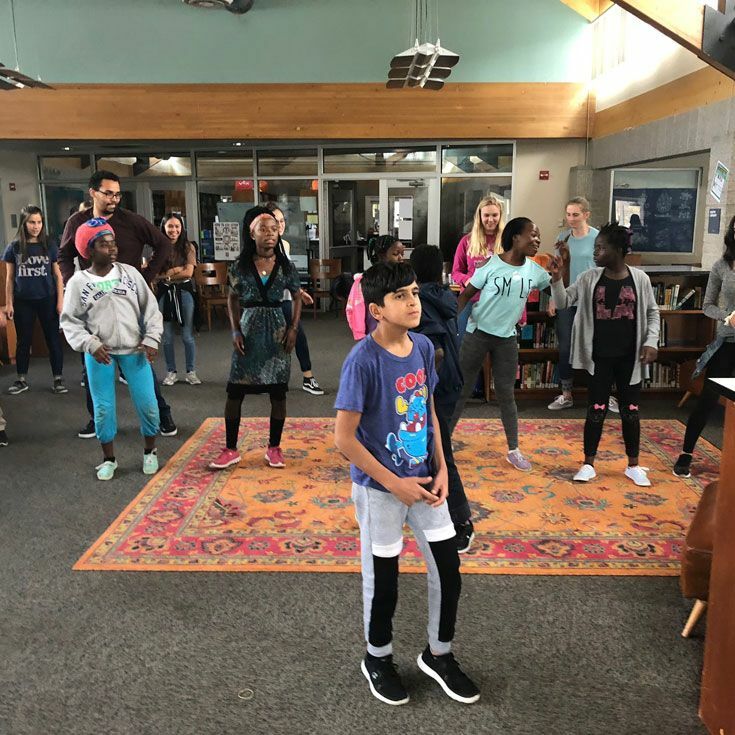 The students were fascinated as they learned a dance from the DRC and more about their culture; they left the campus that day feeling connected to new friends. 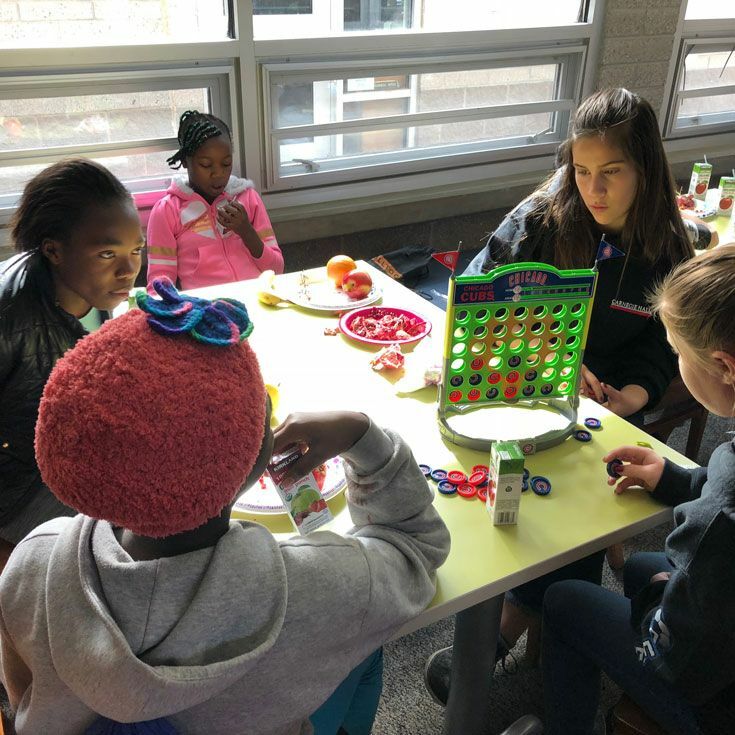 Future plans include visiting various sites around the city for more cross-cultural friendship building for one Saturday per month and twice-monthly after-school visits to Van Buren’s Homework Cafe to support their new friends in their pursuit to learn English. We especially thank Travis McKenzie, a Van Buren teacher, who is Bosque’s partner working with Mr. Green and Ms. Rutins to make arrangements for these experiences. Also, thank you to Alex Levine at BEMP for offering to load his Thursday after-school program bus with Amnesty students, driving to and from Van Buren. The group is looking forward to what this year has in store!